Are you looking for the best dog joint supplement to help relieve your beloved canine companion from pain? It’s understandable that no pet owner wants to see their furry friend debilitated by agonizing joint pains. If you are dealing with a pet that is unable to move with every attempt at movement followed by another bout of pain, especially along the spine, one easy way to enhance their physical health is by supplementing them with glucosamine chondroitin for dogs. Although we would first advise seeking professional advice from a vet as supplements aren’t a complete solution to joint issues, however, they can be consumed to help stabilize your dog’s joints and make them healthier. Despite the several dog vitamins provided on the market, only a handful has been adequately formulated to prevent canine joint problems. We give you a head start by selecting ten of the best dog joint supplements. The best dog joint supplements are chewable since they can be mixed with their food without any trace. 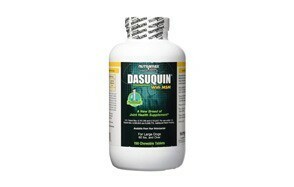 The Nutramax Dasuquin chewable for dogs is a great brand to introduce to your pet for complete joint health. They were developed after ten intensive years of clinical research to ensure that dogs receive nothing but the best health benefits. A pack offers pet owners with tow bottle sizes, one with 84 pieces and the other with 150 pieces. This product is our top pick because it combines the benefits and synergies of glucosamine, ASU and chondroitin sulfate to take complete care of your dog. It is a drug that comes with high recommendation from veterinarians around the world, and it features other natural ingredients such as green tea, avocado/soybean, and different flavors to make it a tasty chewable tablet for your dog. This dog joint supplement also features a formula that includes MSM, an organic, naturally-occurring compound made up of sulfur. It is a product that is known to help inhibit cartilage breakdown, support joint comfort, and encourage cartilage matrix production. Overall, these chewable dog supplements are ideal if your pet is new to taking drugs of any sort. 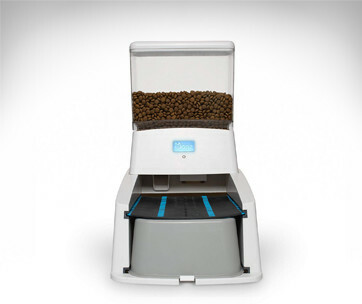 It is perfect for all dogs with weights above 60 pounds and falls under the OTC category of drugs. As such, it can be purchased with ease and works very well to help keep joint pains at bay. 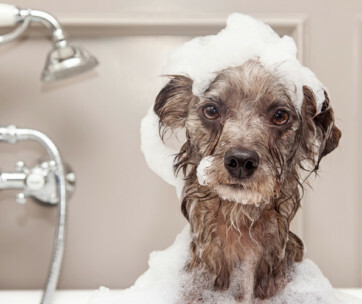 Make sure you also check our guide to the best dog shampoos. We love to see our dogs happy and active every day, and although they will come back home soiled with mud or dirt, we appreciate their activities as it means that they’re healthy. Lack of enthusiasm for movement may be as a result of joint pains, arthritis, or even digestive issues such as constipation. Imagine having up to 225 soft chew made with naturally-occurring ingredients you can always trust to help beat the pain in your beloved pet?. You get this and more from the Doggie Dailies Glucosamine, an advanced joint and hip supplement developed for dogs. This is a drug that is used for premium joint relief for dogs of all ages and sizes, as it features the use of elements such as chondroitin, glucosamine for dogs, hyaluronic acid, and MSM. If you’re also looking for a drug with a taste your dog will love, you’ve come to the right place. The Doggie Dailies soft chew supplements are a good bunch of supplement pieces fortified with the necessary minerals, vitamins, and enzymes that are vital to the health of your beloved pet. They offer levels of energy and strength he or she has never experienced and ultimately eases their comfort while improving their mobility. The integrity of these chews is preserved via the manufacturer’s use of cold-press extrusion. This process also ensures the maximum potency of the drug is assured with every piece your dog ingests. Relieve your dog of all pain associated with aging, arthritis or hip dysplasia by getting him this all American produced drug that comes recommended by several pet owners and veterinarians. Doggy Dailies is a formula well suited for dogs of all sizes, ages and breeds and manufacturers offer a free bonus gift with every purchase; two exclusive eBooks to help you make your dog a very happy pet. For over 40 years, the Glycoflex Joint Support Stages System has been recommended as a trusted dog joint supplement. It is formulated as a joint and hip supplement, and as such, it comes highly recommended by customers and veterinarians. It is made up of MSM, glucosamine and Perna, naturally-occurring elements that work together to offer your pet maximum joint support. Other ingredients include Vitamin C, magnesium and glutathione which have been added to enhance the immunity and absorption of your furry pal. This is the best supplement, according to three decades of veterinarians and several dog owners reviews online. When this drug is used for four weeks consistently, it increases the hind leg strength of your dog by up to 41%. This has been clinically proven after the Vetriscience Lab undertook a series of rigorous tests. Glycoflex 3 is an excellent supplement for working dog breeds. It is the third stage of joint supplements for dogs in the Glycoflex system and is also excellent for senior dogs and active dogs who show signs of potential joint health problems. If you need a drug that offers a lifetime supply of health to the joints of your dog, the Glycoflex Stages System, is the ideal option for you. Available in three distinct stages, this supplement has been formulated to build healthy cartilage and support normal joint function for your dog. It is the best drug for any canine in recovery after orthopedic surgery and is available in a duck flavor for an unforgettable taste. This also makes a perfect gift for dog lovers. 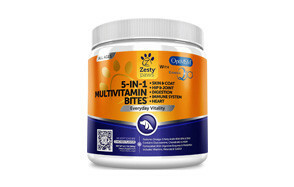 The Zesty Paws Multivitamin is a dog supplement developed to help relieve pain for dogs of all ages. It is made from MSM, chondroitin, and glucosamine to bring relief to the hip and joint of your pet. If your dog suffers from arthritis, this might be his savior, as the Zesty Paws features a GRAS-designated distilled form of MSM, known as optiMSM. This drug is a daily 5-in-1 formula presented to dogs as a chewable treat that can be mixed with their meals. The use of vitamins, nutrients, and minerals for this drug help it support the digestive function, joints, skin, heart, and coat of your pet, amongst other things. These dog supplements feature an anti-itch formula made up of biotin, cod liver oil and vitamin E., this formula is responsible for the nourishing of dryness and the relieving of any itchiness experienced by your pet, to provide them with a supple, soft and dandruff-free appearance, with a shine hard to come by with any shampoo or conditioner. Another benefit derived from this drug is the restoration of strength and boost in mobility your dog experiences. It is a drug well suited for all canines experiencing bloating, gas, constipation or diarrhea. It helps with such situations because the Zesty Paws multivitamin features some digestive enzymes, probiotics, and Niacin. Elements that promote healthy digestion in dogs. The Zesty Paws company is a family of dog owners who has undergone extensive research into the ingredients that promote general health in animals. They have also discovered the new solutions concerning the science of pet nutrition, and this addition of such information to the drugs makes them leading supplement manufacturers for animals around the world. Dogs experiencing joint pains usually become aggressive and thoroughly agitated, due to their frustration from their immobility. The Cosequin MSM dog supplements are the newest and most extraordinary dog vitamins, developed from elements such as the naturally occurring MSM to improve the general joint health of dogs, thus, reducing any aggression that might arise as a cause of pain. It is well suited for dogs of all ages, sizes, and breeds and is made available in a chewy tablet that tastes like heaven to your pet. The Cosequin comes highly recommended as the best joint supplement for dogs with all types of joint issues. It works with consistent usage and leaves you dog feeling energized all day long. The taste of the Cosequin is spectacular. Its formula is developed in a manner that makes the taking of this pill feel more like a reward than medication. Offering your dog, a supplement such as the Cosequin relieves them of all matters relating to health and give them a heightened level of energy for a vast array of activities. Invest in the health of your dog now before it becomes too late! So, why not try your hands on this highly recommended product? Just as its name suggests, the Extend Joint Care Supplement for dogs is a drug formulated to help extend the health and energy levels of your furry mate. This is a supplement recognized globally as a safe and highly effective product, with several reviews pouring in from different parts of the world. This supplement features an advanced joint support formula, developed by manufacturers to support and repair both cartilage and joints in your dog, for him or her to retain their flexibility. The elements that make up this drug include MSM, glucosamine chondroitin for dogs and ascorbic acid. Such ingredients help with the enhancement of mobility, hydration, and comfort for your dog. Other benefits of this drug include its ability to maintain functions of your pet’s connective tissues, increasing the production of collagen and the reversal of all joint damage effects. It even comes in a beef flavor, to make medicines more of a treat than a chore. 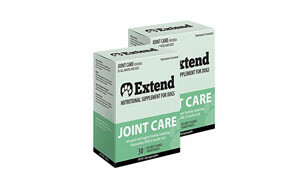 The Extend Joint Care supplement comes with a 100% money back and a lifetime guarantee and is backed clinically by several health and safety institutions. It is the best drug to get your dog up and running again and is also ideal for fighting off all signs of aging in your canine. Despite the availability of many supplements decades ago, dogs kept falling sick, each episode worse than the rest. The dog supplement industry was broken, churning out drugs that did nothing to rectify the situation, until Dr. Ian Stern decided that something must be done. He realized that many dogs needed help, but due to corporate greed, the drugs available did nothing to offer them their much-needed wellness. Being an animal lover as well as a joint care expert, Dr. Stern developed the infinite joint formula, a drug that combined his knowledge of eastern healing arts with advanced technology derived from western medicine. The merger worked excellently with the use of only four ingredients; ingredients that had been proven scientifically to work. The infinite joint formula gave birth to an All-Natural Hip And Joint Supplement that went beyond the status quo, to deliver relief to several dogs. It is a product that many pet owners rely on today, for the ultimate health of their pets. This dog arthritis supplements is manufactured in the USA with human-grade, organic ingredients and includes vital elements such as MSM, glucosamine, chondroitin and a new product, turmeric. There are several reviews from pet owners around the world, testifying to the potent power of this supplement. This dog supplement is the only one of its kind, built to make use of organic elements such as turmeric for its anti-inflammatory properties. With no added artificial ingredients or flavors, this is one dog supplement we believe introduces a new standard to the formulating of drugs for pet nutrition. 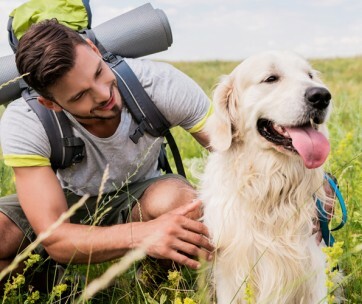 Veterinarians, dog owners and dogs themselves love the Bayer Synovi G4, soft, chewy supplements developed with turmeric, glucosamine and chondroitin for dogs, Creatine, and Boswellia serrata, as well as other organic ingredients for the health benefits of dogs of all breeds, ages, and sizes. This drug is made with a specialized ingredient blend where all elements are combined into a unique formula to assist with muscle toning, joint healing, and antioxidant functions. This blend is known as the Synovi G4, and it is specific to the Bayer brand. The Synovi G4 is to be taken daily by your dog for him or her to experience the benefits swiftly. Turmeric and Boswellia Serrata are ingredients favorite in Eastern medicine for their joint health and antioxidant benefits. These ingredients have undergone a comprehensive quality audit to ensure that they meet the safety requirements for drug preparation. The Synovi G4 comes in a poultry flavor that leaves many dogs coming back for more. With such a drug supplement being taken daily by your furry pal, growing older won’t have him or her feeling older. Turmeric is known for its many anti-inflammatory properties, and as such, it is used in many human products, from foods to soaps and other items. Using this organic ingredient for pet supplements is a relatively new practice, but has slowly gained recognition due to the many testimonials received from pet owners globally. For this reason, Amazing Nutritionals has come up with their dog supplement, known as the Turmeric Chews A, for dogs. This drug has a great taste and comes in a small easy-to-bite form with several tasty flavors to choose from. The turmeric chews are designed in a manner that prevents them from causing bad breath in your dog, spilling on your counter or making your home smell. They have been made with a potent formula that consists of omega three fish oil salmon, vitamins, glucosamine, MSM and probiotics., every ingredient used for this drug occurs naturally and is friendly to both your pet and the environment. Developed in America, the turmeric chews are ideal for dogs prone to allergies, puppies, large breeds and even seniors. It is always manufactured in small batches to ensure that each piece meets the required quality and purity. The Terramax Hip and Joint Dog Supplement is the final supplement to be reviewed in this article. Formulated with ingredients such as chondroitin and liquid glucosamine, this supplement promises to relive your dog from aches and pains associated with arthritis, using only organic and naturally-sourced elements that don’t negatively affect your pet or the environment. It delivers extra strength to dogs for all their rigorous activities that make them feel alive. The Terramax supplement is made in the USA and features better results, superior absorption as well as a convenient and tasty formula loved by several dogs around the world. Besides joint pain relief, this is a drug formulated with ingredients that help with stomach ailments, wound healing, skin problems, inflammation, and incontinence. You get to try this drug risk-free, with its 100% money back guarantee offered to customers by Terramax! Get your hands, or paws on the most potent formula on the face of this earth, a drug that helps maintain the mobility and joints of your best canine friend; it is the TerraMax Pro, hip and joint supplement and it is the best supplement you’ll ever come across on the market today. The overall health of canine articulations has been attributed to a wide variety of components, many of which are slowly being integrated into some drug formulas. Below, we discuss some of the most commonly used ingredients, and their proposed function when used. Glucosamine - Derived from the molecules of glycosaminoglycans, this ingredient is found in cartilage and is one major component. Glucosamine is responsible for the development and formation of healthy cartilage, which ultimately results in healthy joints. It is used in drugs to help reduce the extent and severity of arthritis and is also perfect for the alleviation of pain associated with several health conditions. Chondroitin - The crucial, most structural element of cartilage is known as chondroitin. This is an ingredient that functions to prevent damage of an organism's bone structure, by offering resistance against compression. Chondroitin has been proven clinically to give the body ample time to repair after the breakdown of cartilage and also to heal any pre-damaged surface. Usually, glucosamine and chondroitin are combined in drugs to help deal with the effects of ailments such as osteoarthritis. They are used together to reduce swelling that accompanies many inflammatory events. MSM - MSM, known by its full name as methylsulfonylmethane is a common component of dog supplements and medicines at large., this ingredient is used because of its ability to reduce all signs and traits of inflammation that follows many joint problems. Besides this function, MSM also helps in the repair of cartilaginous tissues and leads to the efficient production of collagen to improve the flexibility and health of an organism’s bone structure. Hyaluronic Acid - Hyaluronic acid is also known as synovic acid. It is a liquid known to act as a lubricant for joints. If joints aren't well lubricated, they can cause an increase in friction, which can damage the various articular surfaces involved. This ingredient is essential in the making of dog supplements to ensure that their joints get to function adequately. The Hyaluronic acid is also known to improve the elasticity and hydration levels of the skin and coat of dogs. CoQ10 - The Coenzyme Q10 is a universal antioxidant substance known to work wonders for those with heart conditions. It is used for its antioxidant properties when used in veterinary medicine and as such helps with the reduction of inflammatory changes in a dog's joints. Why Should I Give My Dog Joint Supplements? Dog supplements are given to dogs mainly because of the excruciating pain they experience when they encounter various joint problems such as arthritis. Such ailments make dogs highly irritable and also leads to the slower movements of your dog. If your dog exhibits such characteristics or refuses to do anything, he may need to ingest some supplements. How To Get The Most Out Of Your Dog Joint Supplements? Exercise - encourage your dog to be as mobile as possible by engaging him in reasonable practices. The activities you promote must be dependent on the extent of arthritis of your pet if he/she is already affected. Some significant events that won't cause more pain to your pet include swimming and regular walking done at the pace of the dog. Body Work - muscle massages are treats arthritic dogs find very pleasant and comforting. this is an act that improves the flow of blood to their atrophying muscles thus soothing their sore joints. Supplementation - dog supplements are also a great way to improve the health of joint cartilage in your dog. they are made with ingredients such as glucosamine and chondroitin to repair all joints and increase the overall health of your pet. A: Dog joint supplements are made with organic ingredients that aid in the repair of joint cartilage and the reduction of joint aches and pains. They are often presented as chewy tablets that dissolve quickly and work through your dog's bloodstream, to ensure it reaches every issue experienced by your pet. Q: Is there side effects of dog joint supplements? A: Depending on the ingredients used in the manufacture of the supplement, side effects may vary. Some of the common effects include vomiting and diarrhea, but these effects tend to subside some days after starting the medication. Q: What typically causes joint problems in canines? A: The friction that occurs between joints is the prevalent cause of joint problems. This friction occurs because there is low production of synovial acid, a substance that is responsible for lubrication of joints. Q: Can I give my dog human supplements for joints? A: No, the joint needs of humans and that of dogs differ significantly. Even though the ingredients are human-grade, the amounts in which they've been used may be more or less than what we require and vice versa.